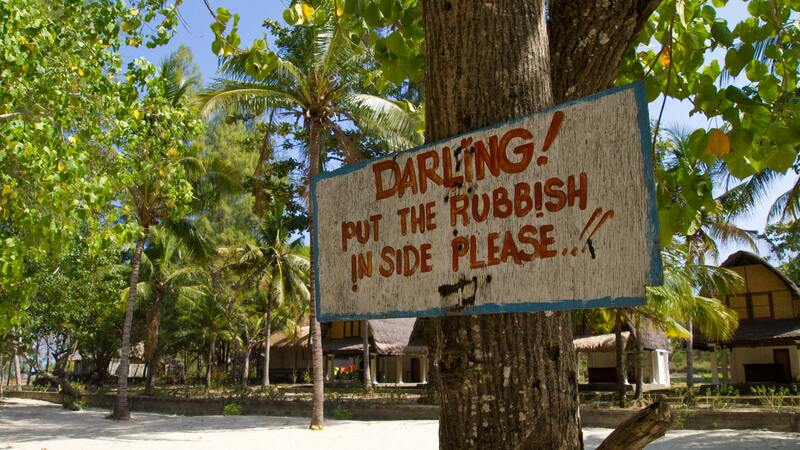 Almost everybody who travels in Southeast Asia knows the famous 3 Gili Islands. Last year I wrote about Gili Nanggu for the first time – an island in the southwest of Lombok in an area which is less known and still off the beaten path. From Sekotong, the southwestern peninsula of Lombok, there are even 12 more tiny or even large Gili islands to discover besides Gili Nanggu. During my current Lombok stay I of course visited Sekotong again for a few days and made an island hopping tour to some other Gilis. So I wanna introduce these islands to you in this article. Also, on another day I visited Gili Nanggu again to see what has changed. And I had to notice: almost nothing! The first stations of my island hopping tour were the 2 islands Gili Rengit and Gili Layar, which are located a bit more far away from my starting point in Sekotong Barat. 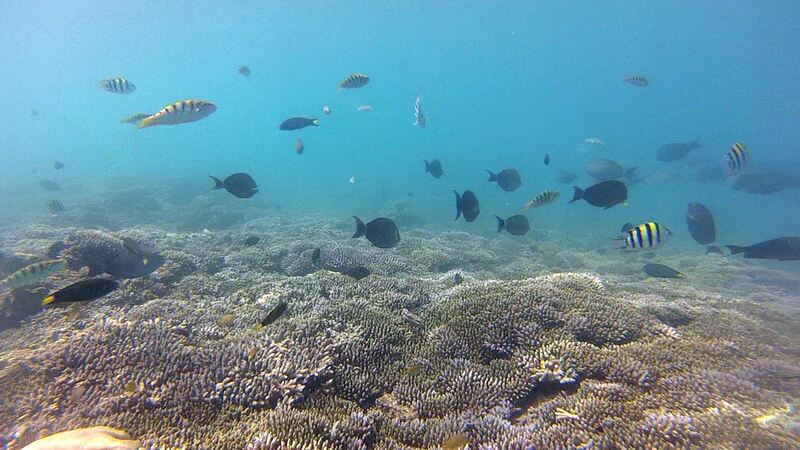 They are popular snorkeling and diving spots. From there the drive takes about half an hour. We firstly passed the two only luxury resorts of Sekotong, the Cocotinos and the Sundancer. Especially the Sundancer is quite huge and you can see the remarkable blue roofs on the hill already from the far. 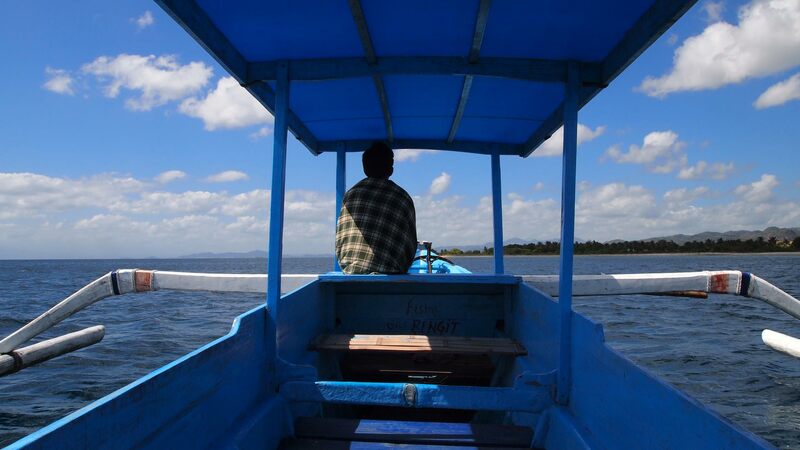 After that we passed the Turtle Island – locals like to call it Gili Genting/Gili Penyu. 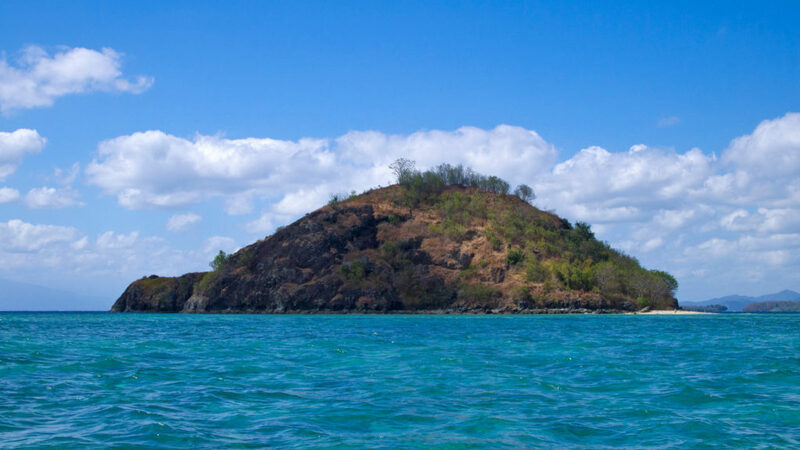 The name comes from the shape of the island that looks like a turtle from certain angles. It has a tiny beach that is not wider than 10 meters and that’s it. Just a few meters away there is already the mainland with the Elak Elak Beach, which has amazingly turquoise water. Past some lonely beaches on the mainland of Sekotong and the quite big island Gili Gede (probably the only Gili island where there are more villages and even motorbikes going around), we finally reached Gili Rengit. Gili Rengit itself is actually quite unspectacular and also doesn’t have the most beautiful beach. The slightly rundown jetty and the trash do the rest. Although the island was disappointing, I really liked the very beautiful underwater world with many little fish, starfish and colorful and living corals. Only a few minutes away lies Gili Layar. Off the island there were some great snorkeling spots that I really enjoyed. With the Layar Beach Bungalows, the island even has accommodations. Just perfect for a quiet and secluded honeymoon, holidays or just for relaxing for a few days. Also the beaches and the water at Gili Layar were clearly more beautiful – at some places even paradise-like. Especially the beach section at the bungalows has finest white sand and amazingly turquoise water. Just the way I love it. 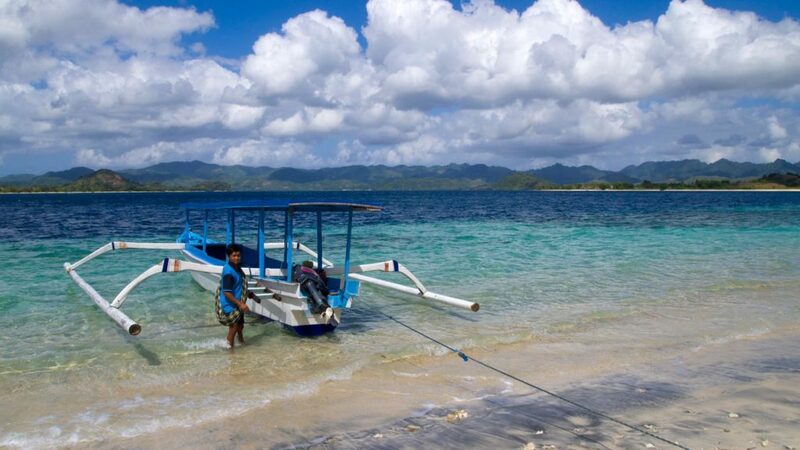 The next station of this island hopping tour was Gili Sudak, which is located between Gili Nanggu and the mainland at the very end of Sekotong’s east. I didn’t try snorkeling here however, but I’m pretty sure there is one or another nice snorkeling spot around here, too. 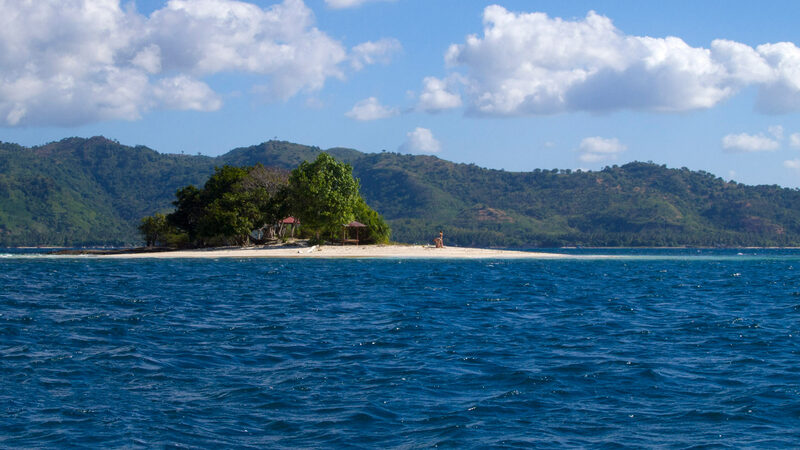 Gili Sudak is a popular stop for having lunches during island hopping tours. The island currently has to offer 2 restaurants/Warungs that are situated directly at the beach. The beach section here is very nice and you can have your lunch in the shadow of the trees with a great view at the mainland of Sekotong. I would always recommend you a fresh grilled fish or seafood. The water is clear and the sand is fine, so you can have a nice swim to cool down a bit. As mentioned before, I have visited Gili Nanggu again the other day. In my opinion Gili Nanggu is the most beautiful island of the southwest Gilis – at least of those that I have seen until now. The beach section on the front of the island is still a true little paradise. The island still looks like one year ago. Almost nothing has changed. Well, there were some more tourists this time. This is probably because it’s high season anyway and more and more people are starting to visit the other Gili islands around Lombok. But this is still NO comparison to Gili T and Co. AT ALL. On the contrary to my last visit, this time I also went snorkeling here. There are not so many colorful corals to see like near Gili Rengit and Gili Layar, but there were many more beautiful fish! 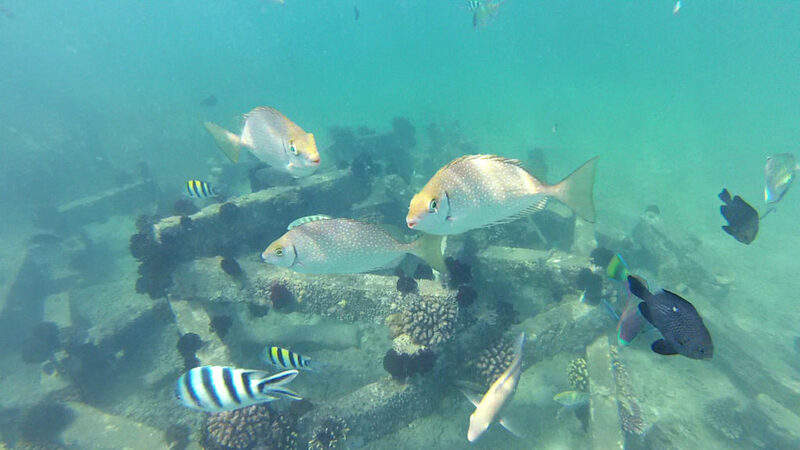 The water is very calm, clear and is simply perfect for snorkeling. From Gili Sudak you can see a super tiny island on the right side. The name is Gili Kedis (sometimes also referred to as Gili Bedis). It is so small that you can go around in about 2-3 minutes. 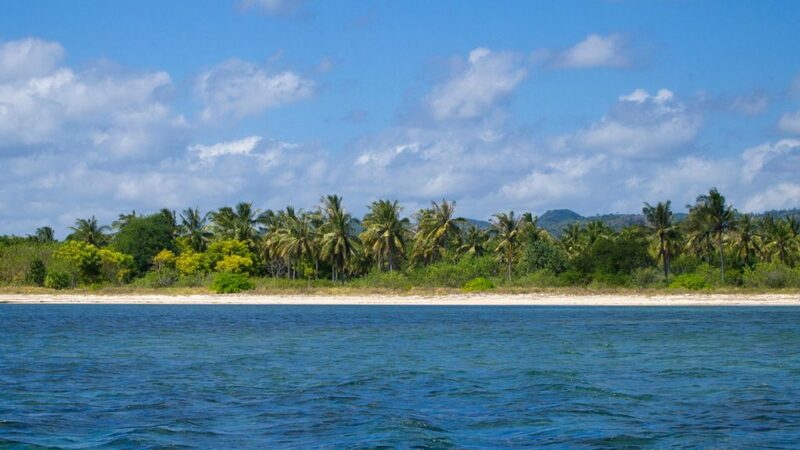 Of course this island is uninhabited and there’s nothing on it – just a little bit of the Robinson Crusoe feeling. Well, at least when there are no other tourists on the island. As long as it’s not low tide, it’s just amazing here. If you liked the Gili Islands Trawangan, Meno and Air, but they were too touristy for you, you should definitely come to Sekotong and do an island hopping tour like this! I even recommend you to stay in Sekotong for a couple of days and if it’s in your budget, do even more tours. 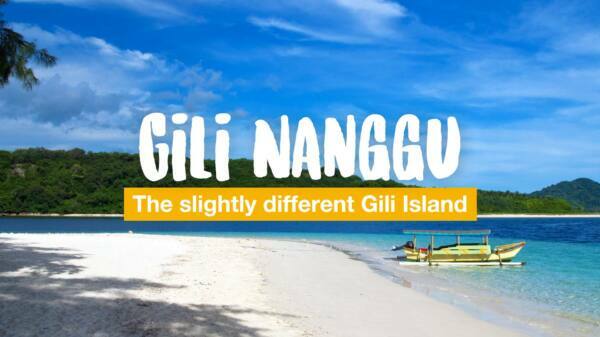 At least you should visit Gili Nanggu. As aforementioned, Sekotong has totally 13 Gili islands and I didn’t even described all of them yet. For example there is also Gili Asahan, Gili Gede, Gili Tangkong and Gili Poh. You can book this tour from different places in Sekotong – mostly you can find them in or near the village of Tawun in Sekotong Barat. I booked my tour both times with a nice boatman from the neighbor village Batu Leong. His name is Pak Dekok – a small and friendly guy that does a great job. He even had a fresh coconut to welcome me. The prices are of course depending on the company or boat driver, but basically start from 350,000 IDR for Gili Nanggu, Gili Sudak and Gili Kedis. Gili Layar and Gili Rengit are a different tour and more far away, so the prices to get there start from about 600,000 IDR. 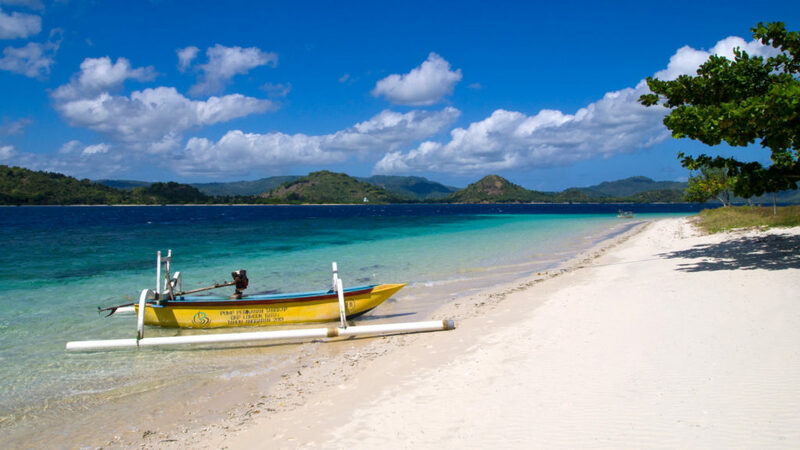 As the 3rd island of this tour, they mostly offer Gili Nanggu or Gili Sudak. Snorkeling masks and fins are not always included in the price, so maybe you have to bring your own or rent them for about 50,000 IDR. 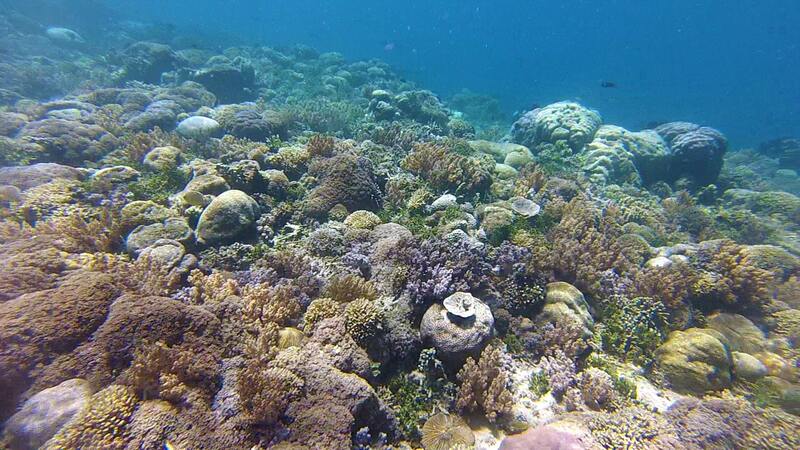 By the way: if you like diving, you should definitely come to Sekotong and do a dive there. If you wanna stay in Sekotong for a few more days and your budget is not too high, I definitely recommend you to stay at Krisna Bungalows and Restaurant. From there you can perfectly start your island hopping tour to the Gilis since they even have their own boat (which is actually a slightly more expensive speed boat). The Cocotinos Resort is a little bit more lush and even has its own jetty. They also offer tours from there. 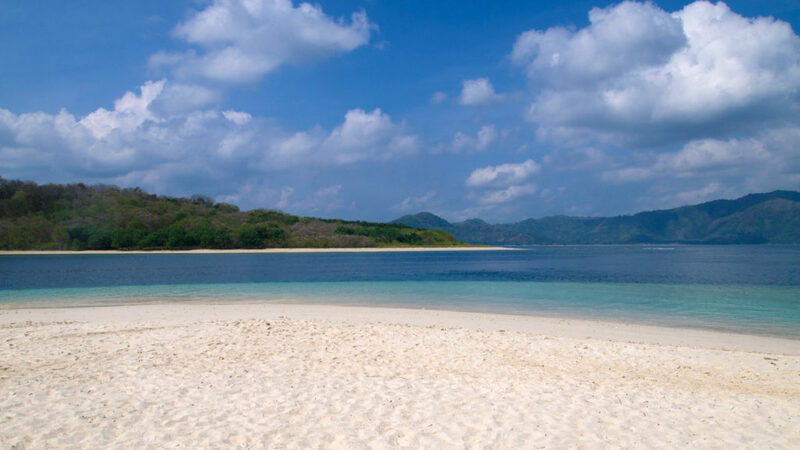 Have you ever been to the southwest of Lombok in Sekotong and visited one of those Gili islands? Or even did a tour with more islands as well? If so, how did you like it? Hi Marcel, thanks for your great write up! 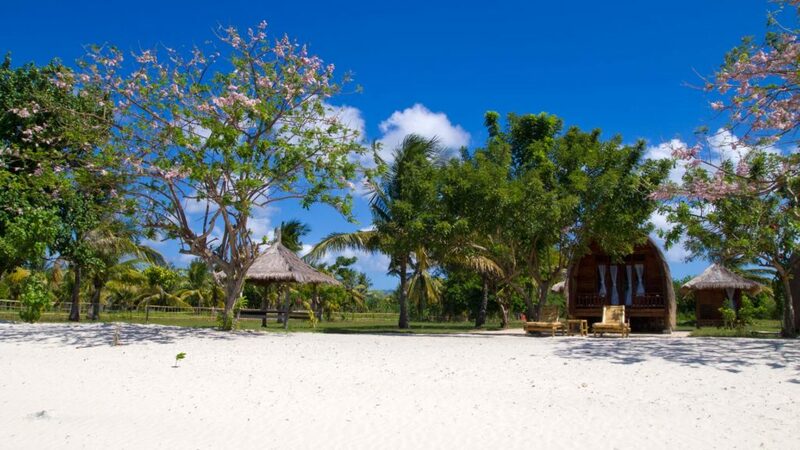 My husband and I will be staying on Gili Sudak for a 2 nights, before going to Gili Asahan for 4 nights. We will be coming straight from Ubud. While we are on Sudak, we’d love to do an island hopping trip to Nanggu and Kedis. As we won’t be staying in Sekatong where most of the tour operators seem to be based, what do you recommend for booking a boat trip? You should check directly with your accommodation. 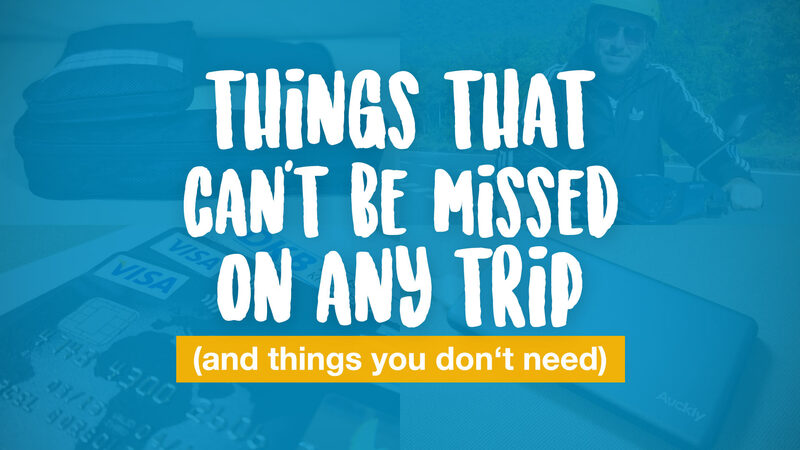 Usually, they offer boat trips or work together with boat companies, too. Hi Marcel, we finally made it to Sekotong, and checked into Krisna on your recommendation. Love the place, and Nangga already. Doing 5 island boat tomorrow. Thanks in advance for all your great advice. We’re going spend a day out by Kuta and hit several of the beaches. Follow the adventure on my Instagram – picnictool. 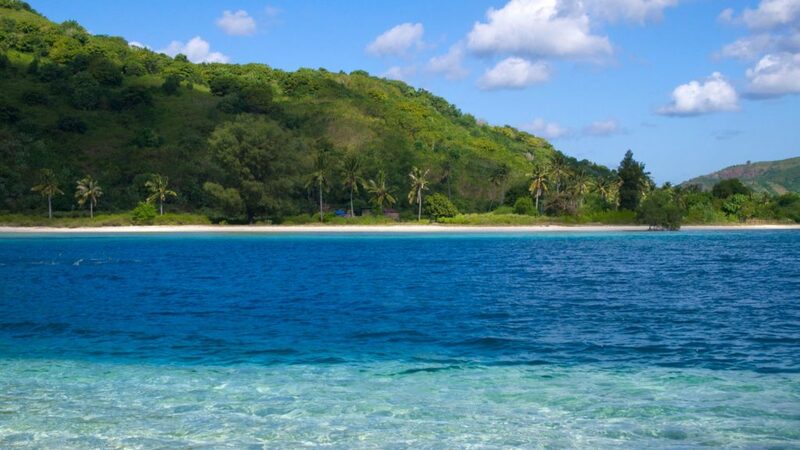 Planning my trip down there now, and looking for some more peace & quiet, rather than the 3 most-known Gilis. Thanks for the great article! Is it possible to do a day trip to these islands from Kuta? I’ll be basing myself there as I plan to see the southern beaches but definitely want to see these ones too. Yes, should be possible. All you need is a transport or motorbike from Kuta to Sekotong if you wanna go on your own. Otherwise you could just book a tour in a random tourist office in Kuta. I am in South Lombok right now with my boyfriend. 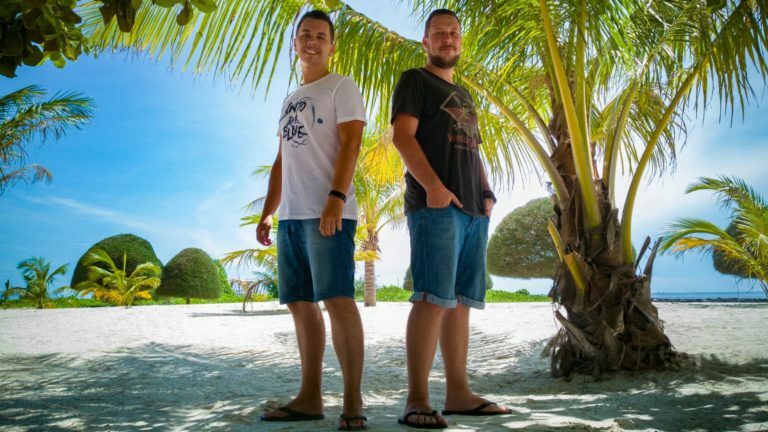 We have read your two articles about the smaller and unknown Gili Islands. Hard to say – I liked both 🙂 Snorkeling was great in both places and also the beaches are beautiful in Sekotong as well as East Lombok. In Sekotong you have more islands to visit though. I came across your blog while doing home works on what to do in Lombok. 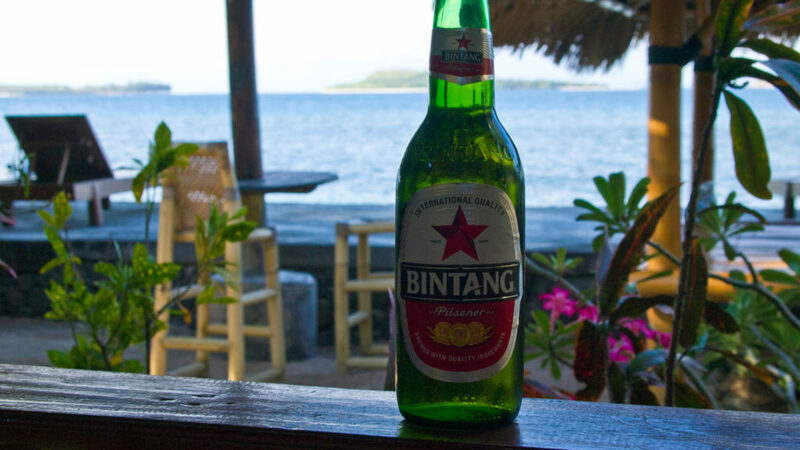 After reading your article I decided that I will stay in Sekotong for a few days to explore the southern Gilis. I’m heading to there later this month. I wonder if you can share contact detail of Pak Dekok so that I can contact him for the island hopping tour? Can he speak English? I will stay at Cocotinos, hope he can come to pick me up without any problems. Unfortunately, I don’t have any contact details from him anymore (only reachable by phone). You can hire any boatman in the nearby villages there as the prices are mostly the same. Just keep looking for the signs as soon as you reach Sekotong peninsula, especially the main harbor in Tawun. If I’m not mistaken Cocotinos is also offering a tour, however, slightly more expensive. But you could ask them, too and compare the prices. Many thanks, Marcel! Really appreciate your reply. Hahaha, Cocotinos’ price tag is four-fold of what offered by the fishermen. They have professional boats with a professional guide but who would need those in South East Asia for such small tours? In the Philippines, the resorts mostly leave this part of the business to the fishermen and I believe it’s a very nice thing to do. The local villagers are always gracious, knowledgeable and accommodating. I will try to do the same when I get to Sekotong. Another question if you don’t mind: is there any reliable shuttle service or car hire that you can recommend? We need to move from Sekotong to Bangsal island for a boat tour. I understand that’s a long journey so I’d like to book in advance. Sorry, I meant ”Bangsal port”. We plan to book a tour with Wanua Adventure for 4-day-3-night boat trip from Lombok to Flores. I understand your point and I would exactly do the same to support the local people – until there is no other choice. You mention the Sundancer Resort. I last visited Lombok several years ago and the Sundancer was not yet finished. It looked lovely as did it’s location. Do you know if it is now open for booking.? Not sure to be honest. Last time I was in Sekotong was mid 2015 but I think it should be opened by now. In June I’ll be visiting Lombok together with my son (20 years old) and we would like to discover the Island by scooter. Do you have some tips for us and can you recommend us where to rent them. Preferentially near Kuta (where we will start our trip). We want to rent scooters for about 5 days. Thank you! And btw, great Blog! Unfortunately, I don’t know a specific scooter rental shop in Kuta since I rent my bikes always in Senggigi. I think the best way would be to check with your accommodation. Most accommodations provide scooter rental service which is most convenient for you. Make sure to check the bike (brakes, tires) and take photos if there is any small damage. Also, always lock your bike carefully and if possible, don’t leave it unattended. You could also ask for a special lock for the bike – sometimes they offer it for free.